Reliable and faultless live event temporary WiFi is more important now than ever before. 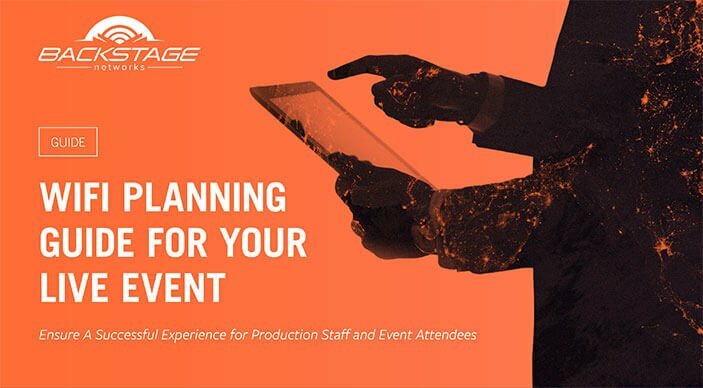 No matter what type of live event you’re planning, you owe it to yourself to take the time to rely on event internet professionals who know WiFi better than anyone else on the market. To assist with your live event planning, we invite you to download our free Live Event WiFi Planning Guide. Understand the difference between production WiFi and attendee WiFi. Why it’s important to work with a single IT vendor instead of different vendors to meet different WiFi requirements. How to monetize the cost of attendee WiFi and more. Sign me up for the Backstage Networks monthly newsletter.